Yes, but not really. Here's how. 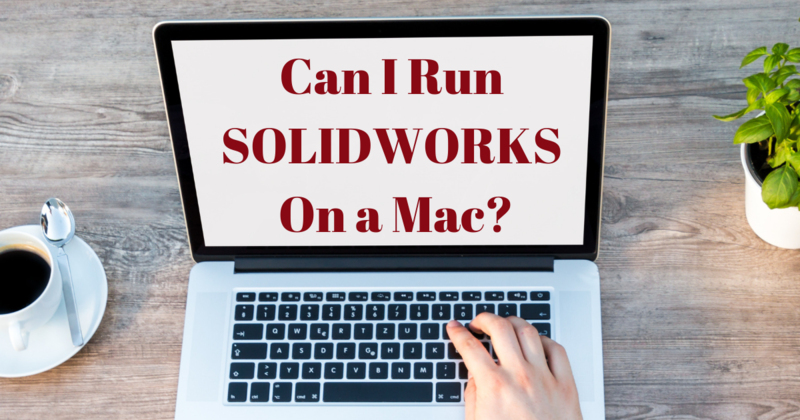 "Can SOLIDWORKS run on a Mac?" is a question we get all the time. Unfortunately, the answer is no, it does not run natively on a Mac. It can only be installed on a Windows environment. So, the question then becomes "How can I run SOLIDWORKS on a Mac and how well does it perform?" 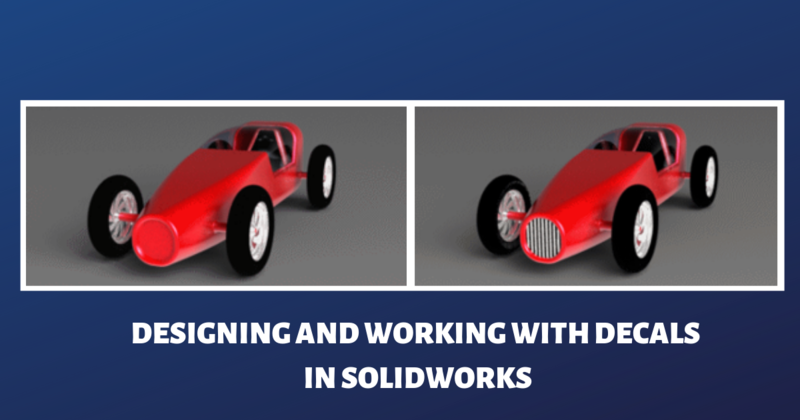 Let's talk about how to get SOLIDWORKS running on your Mac and what you can expect in terms of performance with this kind of set up. 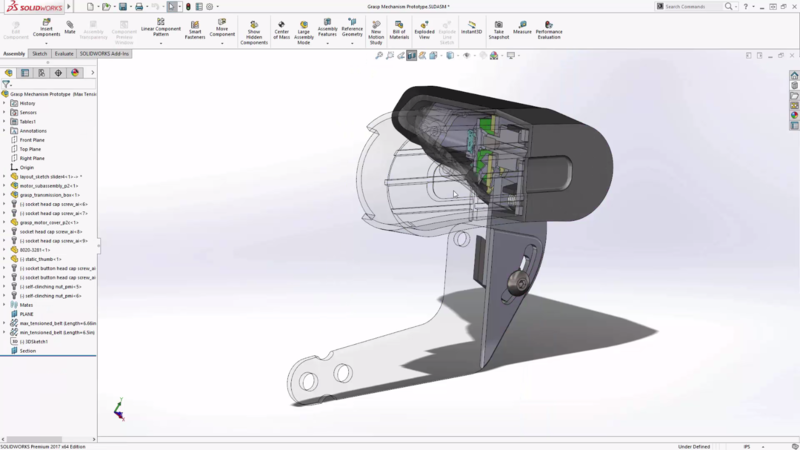 Included in the SOLIDWORKS 2019 launch is the measure anywhere feature. This means you no longer have to exit a command before you can take measurements. 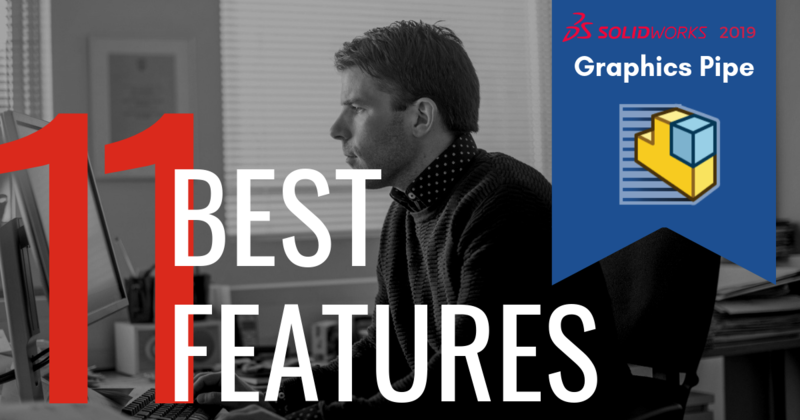 Such seemingly small improvement is a big favorite among TriMech Application Engineers and considered a top reason to upgrade to SOLIDWORKS 2019. 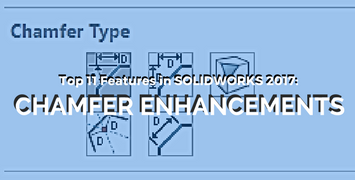 SOLIDWORKS 2019 offers some incredible features. Today we'll go over one of the most important tools for avoiding potential manufacturing defects and mishaps: the interference detection tool. Until now, this tool was only available for Assemblies. This is great for most modeling workflows because it helped show potential collisions or interference in complicated assemblies, but it was also an important tool for multi-body parts and thanks to the 2019 upgrade we can now handle this. Our third top new feature in SOLIDWORKS 2019 is the ability to add a partial fillet and chamfer. This was the enhancement that got the most cheer from a packed auditorium when it was previewed at SOLIDWORKS World 2018 in Los Angeles, and it’s easy to see why. 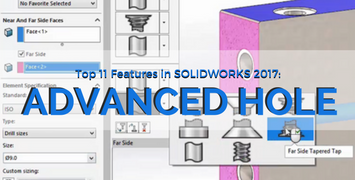 One of the most exciting new features of SOLIDWORKS 2019 is the addition of 3D textures. This new feature allows you to add complex and intricate geometry to your 3D CAD models in a few simple steps. 3D textures can add repeating geometric features to models in one simple step, such as dimples, knurls or textured patterns. Over the years, the SOLIDWORKS display has become more advanced with new view types and section view selections for users to choose from. In fact, Creating Transparent Section Views is one of the enhanced features in SOLIDWORKS 2017 that our engineers say is a game changer. Does your display screen get cluttered with annotations, reference geometry and sketches on SOLIDWORKS? 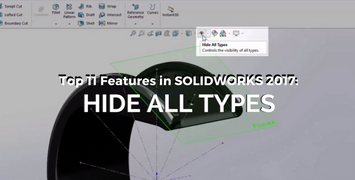 Well, SOLIDWORKS 2017 introduced an enhanced feature that allows you to hide/show everything more easily. In our blog, we explain why adding the Hide All Types feature to the user interface will drastically improve clients' design processes. In our blog series, SOLIDWORKS 2017 Top 11 Features, we have highlighted several of our engineers' favorite changes to SOLIDWORKS' user interface. 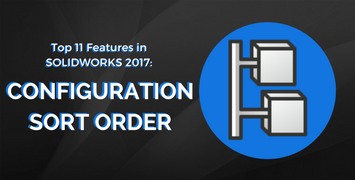 In addition to bringing back the classic icon colors and enhancing Selection Breadcrumbs, SOLIDWORKS 2017 also improved the user's ability to customize configuration sort order.